James Carville created Bill Clinton’s 1992 campaign slogan to capture what he felt the American public cared about ‘Its the economy, stupid.’ I’m loosely borrowing that phrase to explain what makes people happier. It is a fun pop psychology topic: “Does acquiring things or experiences make a person happier?” My answer is definitely to spend money on experiences — especially if they can be repeated or re-experienced. Here’s a real life example of how the experience can make a person happy. I recently was the recipient of a small gift (small from an actual physical size), but large in the impact it has on my life because I use it every day. The gift was a new shower head – it is one of the overhead style shower heads, the kind that I usually only get when I stay in a nice hotel. 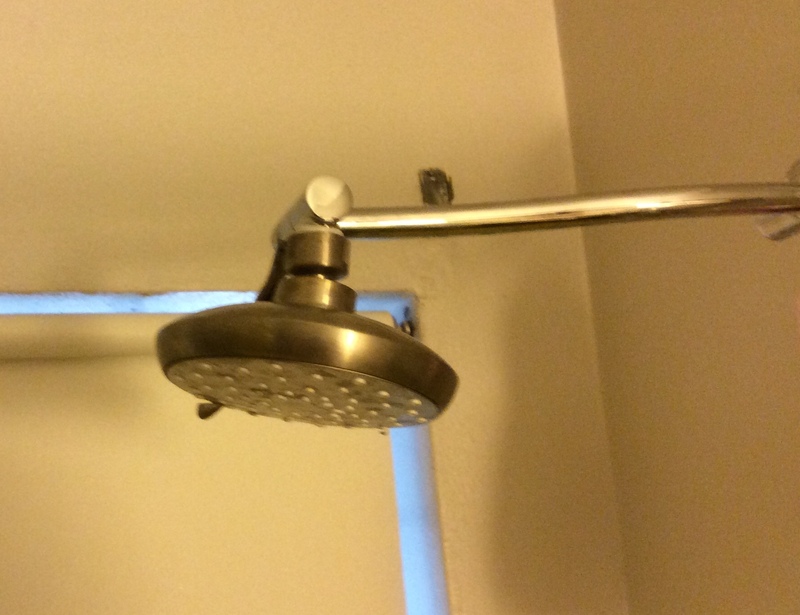 I get such a kick out of using it each morning, it is like showering in a hotel each day. I was listening to a favorite podcast recently, in the Stuff You Should Know series (really cool, click on the link to check it out), and this topic was discussed. In their podcast, one of the commentators said that buying a guitar made him happy. It wasn’t the actual physical object that made him happy, it was the act of playing the guitar. He stated the obvious, which is only buy an object if you are going to use it (meaning don’t buy a treadmill and stack clothes on it), to get the happiness effect. P.S. If you want to check out fun podcasts, please look at the archive of stuff you should know. You can learn how the Spanish Inquisition worked or about Numbers Stations — really neat stuff!